WHAT’S IN A WORD? NO. 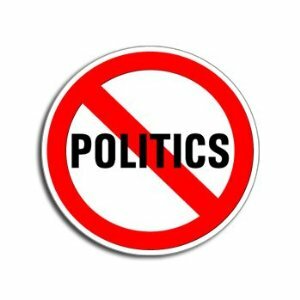 1 – POLITICS | Subject. Object. Politics is the science or art of governing: it concerns competition for power. A person can be said to be “playing politics” within a workplace, a household, a community, a nation, or in a global sense; to be playing “power games” pretty much means the same thing. Some of these players might be megalomaniacs, others may be well-intentioned, believing if they had the power, they could make things better and counter injustice and inequality. Players band together with allies, or parties, in a bid to achieve their political aims. In a wider sense – and somewhat confusingly – if, say, you want the abolition of nuclear weapons, war or capitalism… or libraries, hospitals or schools to be kept open, that could be said to be having a ‘political opinion’. Although you are not seeking power, to become a ‘politician’, you are obliged to put pressure on those who are engaged in these power games, the politicians, to gain traction. Direct action – which can be anything from petitioning to bombing – often gets the ball rolling, only to end up being chewed over by power-brokers in parliaments and council chambers. It’s often been debated whether our battle to save our forest land from being sold off, which I continue to be heavily involved with, was political or non-political. 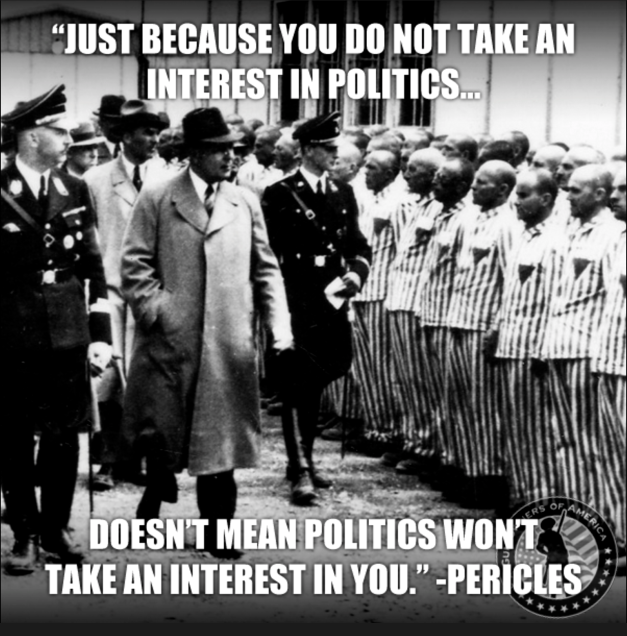 Intrinsically, it isn’t political. The main thrust of our cause has been to keep politicians from claiming this land, which belongs to no one and everyone simultaneously, and disposing of it to privateers. Other land ‘ownership’ struggles which pit people against politicians are raging across the world. Our member of Parliament, who until recently was a government minister, claimed the campaign was political: that it was orchestrated by his political opponents. Some of his political opponents were involved at the heart of the battle, but there was also a groundswell of those who don’t play any part in politics, and indeed some who voted for him also protested. This issue of commonly-held rights of access and use of land affected everyone directly on a level basis, from millionaires to the penniless. The campaign really got noticed (as in, reported in the national and international media) when an effigy of Big Ben was burnt on a great bonfire. This symbolic act could not have been clearer. It was an anti-political statement. However, the action from then on moved to the centre of politics; politicians – mostly unelected peers in the House of Lords – were lobbied by half-a-million petitioners, celebrities and local politicians to throw out a parliamentary bill that set out to make the offensive act of land theft fully legal. Since this political upset was dampened down by the Public Bodies Bill being thwarted and the government publicly admitting wrongdoing, campaigners were invited to join in this political chess game rather than merely being pawns in it. (Although it could be argued that all involved are pawns in some way of higher echelons of power.) As I write this we are at stalemate: neither us nor the Government refusing to budge for more than a year. This is a spanner in the works of politics, hence the game has been set aside, the media and politicians of all colours have lost interest – as have many of the public, those who stoked that Big Ben bonfire and warmed their hands by it on January 3, 2011. Often it is only by attention-seeking direct action that an issue is placed on the political agenda – for instance, would any kind of power-sharing compromise in Northern Ireland between Irish republicans and British unionists have resulted if it hadn’t been for the IRA’s bombing campaign? Or would the Americans have moved their warheads out of Greenham Common without the women’s peace camp? But usually what is tabled on the agenda of politics is rather like a dog chasing its own tail – the tail alternately being the mainstream media, or an initiative with a politician as its figurehead and thus granted de facto headlines. Hence the agenda, from pronouncement of politicians from all parties, blames poor immigrants for economic woes rather than international financiers and speculators; the European Union is the focus of ire due to its free movement through national borders rather than the vehicle for the oncoming Transatlantic trade deal TTIP that insists on the privatisation (theft) of our commonly-held services. Politics is the preserve of the few, but encompasses the many – politics impacts on every human, every species of flora and fauna, the planet and even the moon and wider universe. Politics gets us all into a mess, while increasingly politics shrugs and says it is unable to get us out of a mess. This supposed reality is the excuse given for the British Labour party ditching any socialist principles and embracing neoliberal Thatcherism. In 2014, we see an ‘official opposition’ which actually opposes very little, while a neoliberalism-on-steroids party (UKIP) has joined the political race and been welcomed to the club. The one anti-neoliberal party which has some power (the Green Party) is blackballed from the political club, denied the oxygen of publicity from the messengers of politics – the mass media. Writing 2,400 years ago, Aristotle philosophised that politics is a natural phenomenon. Nature produced communities whose citizens (or polis) formed societies in the form of city-states (or polities) which needed to be governed by politics (Aristotle believed that there was a limit of 100,000 citizens who could be efficiently governed). He contradicted Plato, channelling his mentor Socrates (who himself never left any writings), who had a decade before argued in The Republic that politics and culture were unnatural, imposed by rulers, or politicians. Plato debated whether those with power were better off than slaves, the unfree, as they carried the burden of responsibility of providing – or failing to provide – a social contract. Aristotle was influenced by the political orator Antiphon the Sophist, who argued for egalitarianism: “Those born of illustrious fathers we respect and honour, whereas those who come from an undistinguished house we neither respect nor honour. In this we behave like barbarians towards one another. For by nature we all equally, both barbarians and Greeks, have an entirely similar origin: for it is fitting to fulfil the natural satisfactions which are necessary to all men: all have the ability to fulfil these in the same way, and in all this none of us is different either as barbarian or as Greek; for we all breathe into the air with mouth and nostrils and we all eat with the hands.” Yet Aristotle felt it was natural that the political situation cycled from oligarchy to democracy to tyranny. And within 500 years of Virgil’s Aeneid, the Roman empire was disintegrating… or was it? 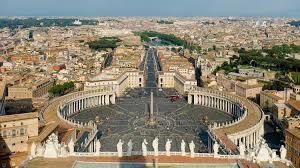 Within a couple of centuries after those imperial urban centres of power had fallen into dereliction and in Britain, for example, people reverted mainly to rural living, all roads led to the Vatican. Popes became the unchallenged emissaries of God, and bestowed their seals of approval on kings, declaring them a God-given right to rule the polities or states they carved out; those Pagan kings lacking papal approval often converted in order to receive the authority. While some historians maintain that for a while Saxon ‘freemen’ (while the majority’s status was unfree) could vote in assemblies (known as ‘things’ in Danish/Scandinavian-ruled areas), and King John and his descendants were forced to share power with barons following the Magna Carta of 1215 (in reality, successive kings and their inner circles withdrew many of the ‘freedoms’ in the months, years and centuries hence), the church, monarchs and aristocrats – sometimes in unison, sometimes in rivalry – held the balance of power. Parliament originated in the middle ages as a talking shop for politicians to grant and administer taxes to pay for wars. After hundreds of years of direct action movements, from the 17th-century ‘Levellers so-called’ (so-called by their opposition who claimed they wanted to make all men equal, when this wasn’t really the case) to the 19th-century Chartists (who, like the unsuccessful Levellers, wanted an annual vote for all men rather than just a tiny percentage) and Suffragettes of the early 20th century (who wanted voting extended to women and were finally gradually granted it after World War I), we now live in a democracy… or do we? The ruling elite must have been panicked by the English Civil Wars, the French Revolution and the universal suffrage movements, followed by sighs of relief. The hegemony of politics was left to remain. The biggest challenge had to be socialism, and the Russian Revolution of 1917. 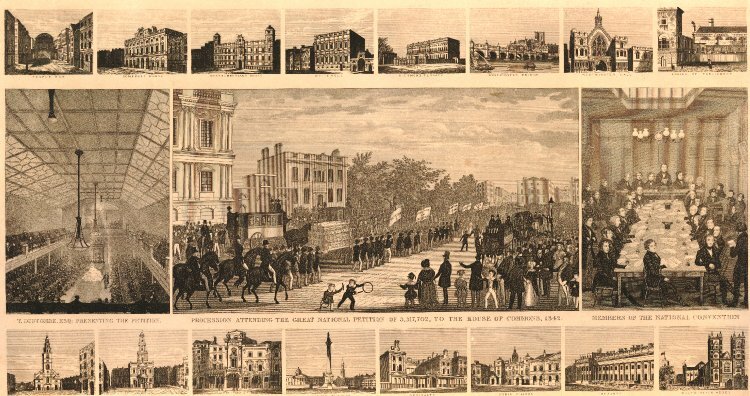 The socialist institutions which gained the greatest sway in Britain, however – contrary to Marx and Engels’ predictions – worked within the political system, rather than outside it (ie the Labour Party and the Trade Unions Congress (TUC)). Anyone who ‘does’ politics will point out that compromise rather than revolutionary action is the way politics works. Compromise infers that both sides meet and find a workable solution in the middle. But it can’t really be denied that it is egalitarian causes and socialism that has been “compromised” to the point of near-extinction. 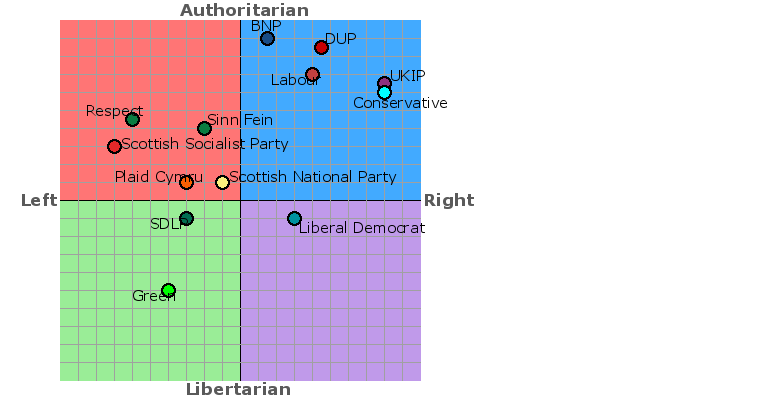 Besides about 40 Labour MPs, one Green MP, a smattering of Sinn Fein, Respect, Plaid Cymru and Independent representatives, the entirety of Parliament occupies a centre-right-authoritarian block, as shown on the Political Compass (which I endorse more than the left-right sliding scale measure). Although the Queen reads from a script prepared by the Government (which, by the way, is mostly comprised of unelected politicians), we do occasionally get glimpses of how much influence she and her offspring have in vetoing motions they don’t like, and lobbying for those in their interests. The figurehead of the status quo is far more than a ceremonial one. 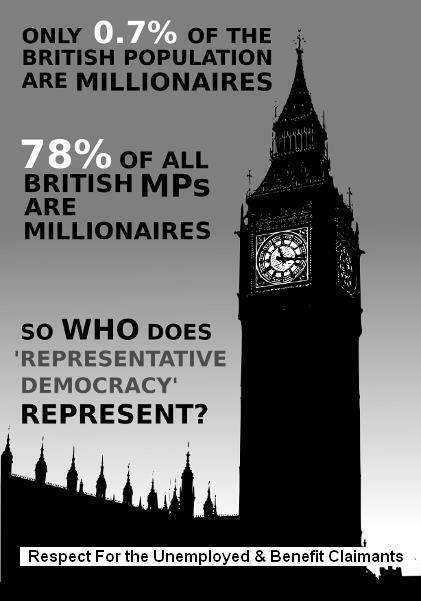 The vast majority of MPs come from ruling-class backgrounds; thus they pass laws largely in their interest. The corridors of power are solidly, institutionally capitalist. MPs may well condescend to deal with issues brought to them by their ‘ordinary’ constituents and represent them in this way, but can it really be denied that they are principally representing big business, the military-industrial complex of weapon-makers and products which are more anti-social than socially useful? 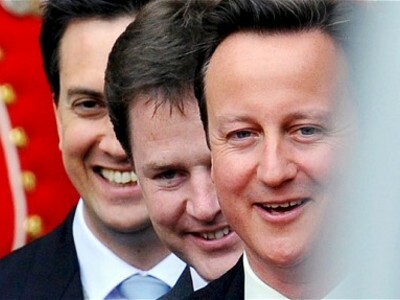 Are politicians socially useful? By that notion, is politics more socially useful than harmful? Many of the less than 50% entitled to vote who typically use their vote probably feel that there’s nothing they can do to influence local or world affairs except spending five minutes every five years ticking a box. Russell Brand struck quite a chord when he opined that voting is pointless. Quite rightly he dismisses those who say he is irresponsible using his celebrity weight to draw people away from their ‘democratic right’ without offering a programme of change. It’s not up to him to devise an alternative, he insists, and why should it be? He vaguely talks about consciousness and inner change, and he has taken to posting regular videos where he disassembles media reports. There are other alternative media sources: the shouty, sweary Chunky Mark aka The Artist Taxi-Driver, and the blogger Another Angry Voice, who advocates voting for smaller, anti-neoliberal parties. Bez of the Happy Mondays has formed the Reality Party. 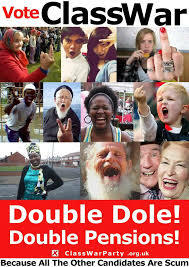 Class War, who originally achieved infamy with its presence at the anti-poll tax riots of 1990, is standing as a (largely satirical) political party. In the first blog I wrote here, I was musing about standing for election (however, I’m not really sure at the moment whether it’s worth the energy). The world of academia has produced some soothsayers – notably the American Noam Chomsky, and also David Graeber, who helped launch the international Occupy movement of 2011, which has since largely dissipated but was still a worthwhile exercise in demonstrating direct democracy. Meanwhile, the Indignados movement of Spain – which inspired Occupy – remains active, holding district-by-district, city-by-city assemblies. The plenums movement of Bosnia-Herzegovina which got going in February 2014 expressly rejects the divide-and-rule ethic nationalisms which characterised the Balkan conflicts of the 1990s. The international struggle against global neoliberalism IS going on, it’s just not being reported because it is not ‘politics’ in the narrow definition of the word. Rather than seeking the power to govern, these movements are about taking power for ourselves, rather than relying on a politician representative. As for an alternative to the top-down politics of trade unions, all reliant on the TUC to sanction any kind of collective action, the Industrial Workers of the World – the syndicalist ‘one big union’ which once had Woody Guthrie as a member, and was at the forefront of anarchism in the Spanish Civil War – is enjoying a revival. The IWW doesn’t ask for permission to take action, if its members decide to do something, they do it, as in fighting for better conditions for McDonald’s and Starbucks workers and against workfare (which was only opposed in Parliament by a little more than 40 Labour MPs). These strands are all coming from a similar place which has some, much, of their roots in social anarchism, or libertarian socialism – politics may be almost exclusively now a global neoliberal product (for a definition of neoliberalism, see a future blog). What is emerging, albeit in fragmented form, is a kind of counter-politics, or perhaps anti-politics, depending on how the word ‘politics’ is defined. We did face an uphill struggle to even hire a hall for Forest Unity’s launch event – those on the hall committee and parish council accused us of being ‘political’, in that we openly said we are anti-Tory and anti-UKIP, and activists from the Labour Party and Green Party were involved. Again, it comes down to definition. HOOF still has to combat accusations of us being ‘political’, as well. If people believe you are ‘political’, many hit their off-switch. “I don’t do politics”, “I don’t want to know about politics”, “I just want a quiet life, without politics getting in the way”, or “they’re all the same”, might be common reactions. But if you ignore politics, stay away on election day but also disengage yourself from campaigning against political decisions or awareness of them that have a negative impact on you, your family or friends, you could easily find yourself with nowhere to turn when the bailiffs knock on your door for non-payment of bedroom tax, or you slide from redundancy to benefit sanctions… or in an even-worse-case scenario, you find yourself under the jackboot of an elected neo-Nazi regime. You may find it easier to criticise foreigners for getting hired for jobs rather than the employers who choose them over you as they can get them to work harder for less money; you may believe the European Union is the only problem and threat to democracy, rather than your own nation’s politicians and councillors – those are the messages coming from TV and the newspapers, you haven’t the time, means, energy or inclination to dig elsewhere to form any views if you’re battling against poverty. And that last, hackneyed phrase, could be a remedy against this politics thing, the parliamentary paradigm which seems to form the extent of any mainstream media political correspondent’s remit or vision. That and active solidarity with fellow workers and the oppressed people of the world. We all need each other: as the IWW slogan says “an injury to one is an injury to all”. That goes beyond politics. Wow!! Always thought the western world would be the next Roman Empire to become ‘extinct’ .. Who’s the next? ?